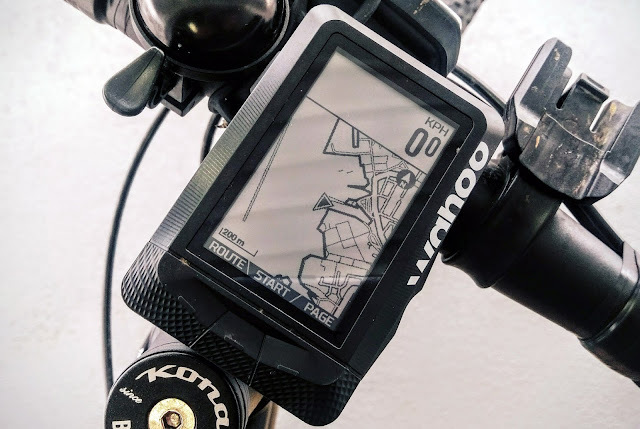 The cycle GPS market has long been collared by the big G…; to the extent that you'll probably say "did you track that on your Garmin?" 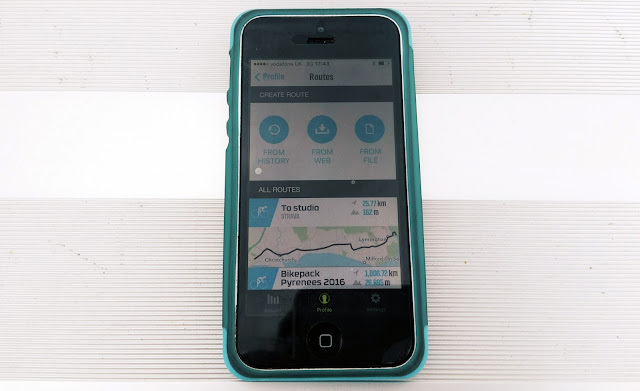 a bit like "can you do the Hoovering" - the brand name has become synonymous with the sports GPS computer. It's about time that changed though, and Wahoo reckon they've brought out a Garmin-buster, with the new Wahoo ELEMNT. Wahoo like to keep things simple; which is nice, because life is pretty complicated as it is. 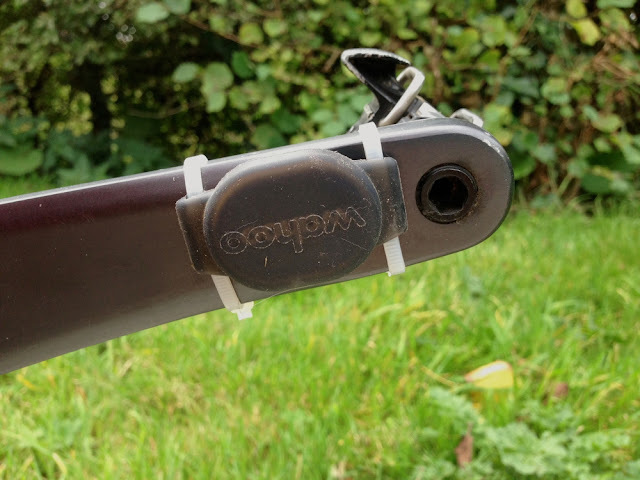 Out of the box, the ELEMNT has three mounts: for bar/stem, aero bars and out-front; they all use a simple quarter-turn system, very similar to Garmin (though not the same - they aren't compatible unfortunately). 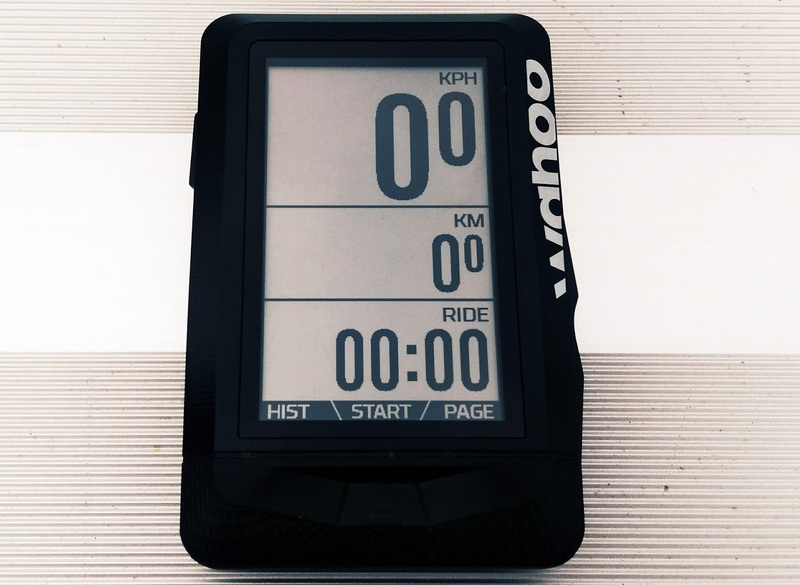 Once you've set up your user profile, you can customise the display dashboards that you get on the ELEMNT. By default, you get one metrics dashboard page, one page showing elevation data and an elevation graph, and another page showing your location map; you can then add more metrics pages for different kinds of activities and different kinds of riding. 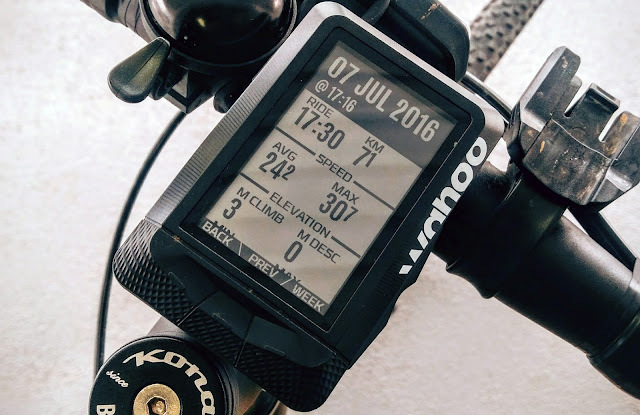 Perhaps my favourite thing about the ELEMNT though, is the zoom function of the dashboards/pages. By using the up and down arrows on the side of the device, you can add or reduce the number of metrics that appear on each dashboard; and on the app, you can place all of the available metrics in preference order (up to a total of 10 on each page). This is incredibly useful and logical; allowing you to refine what you see on the page, with just a simple tap of the button. The display itself, is easy to see - even in bright sunlight; and although it's not colour, I don't really miss that. You can set up the back-light on the App, and customise how long it will stay on for after you've pressed one of the buttons on the head-unit. To make your metrics and progress even more visible, the ELEMNT has indicator lights on the left side and top of the display; these are strips of LEDs, which can be used to indicate whether you are above, within, or below your desired speed, HR or power bracket! The Wahoo ELEMNT is designed to be a contender for the mapping-capable Garmin models on the market, such as the Edge 1000 and Edge 810; as a result, it comes with full global maps, supported by 'Ride with GPS'. These maps offer turn-by-turn instructions; while the LED indicators on the top of the screen will also indicate the direction of an upcoming turn - it's proper flight-deck navigation stuff! 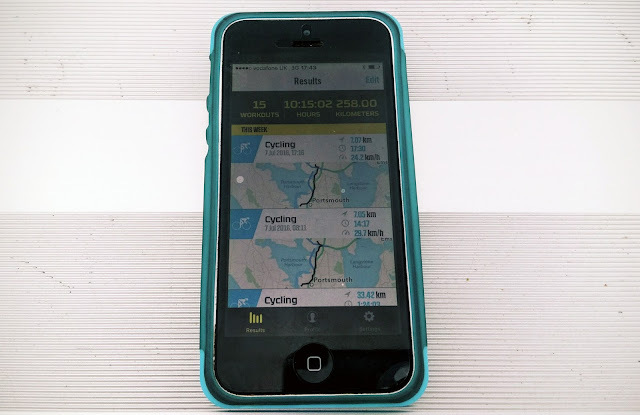 Routes that you've created on 'Ride with GPS' or Strava are automatically synced to the ELEMNT phone App, then they can be uploaded to the ELEMNT via a WiFi connection. It's super easy - no surprises there then! Routes are synced to the ELEMNT app from Strava or Ride with GPS, and then transferred to the unit via WiFi. 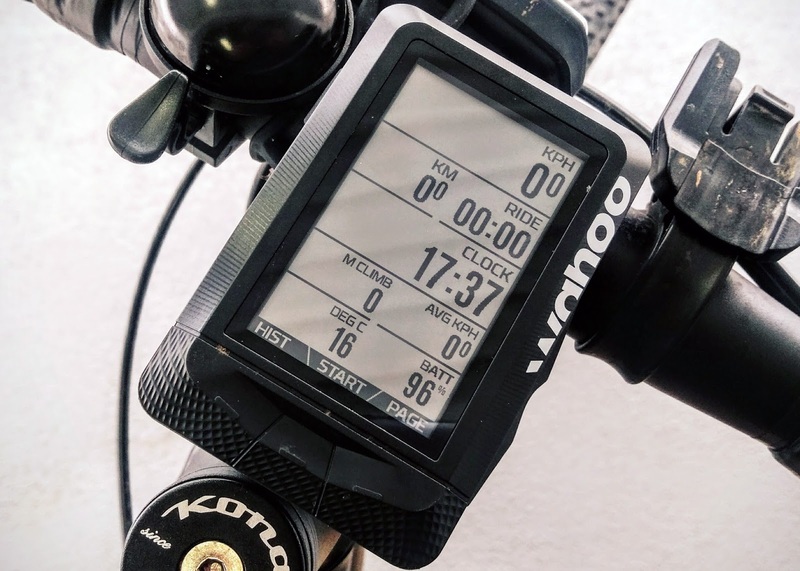 So the ELEMNT is simple to set up, simple to use, and it will guide you easily to your destination. It is also very well set-up for data metrics though, and post-ride analysis, too. Wahoo Fitness also produce the TICKR+ Smart Heart Rate Monitor (reviewed here), and the RPM Speed and Cadence sensors (reviewed here); both of which are pretty neat and innovative products in themselves - being simple to use, mount and sync. 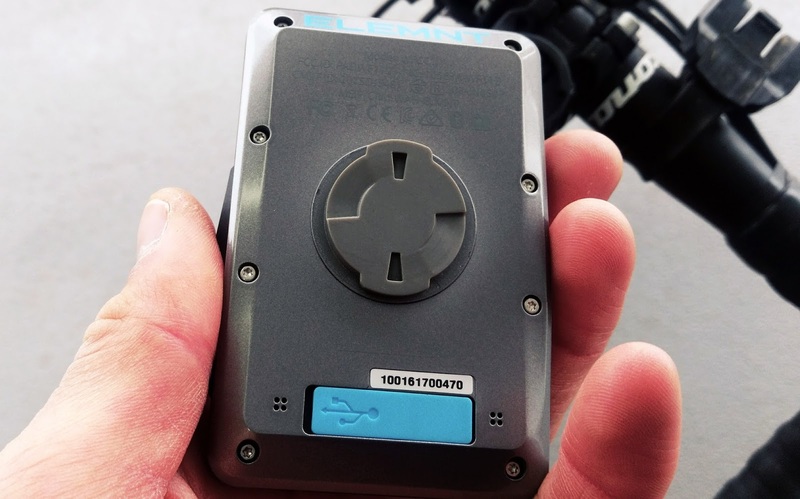 The TICKR+ even has the ability to record HR data during an activity, and save it within its internal memory; so you don't even have to take your phone with you on a run/ride (unless you also want GPS data). 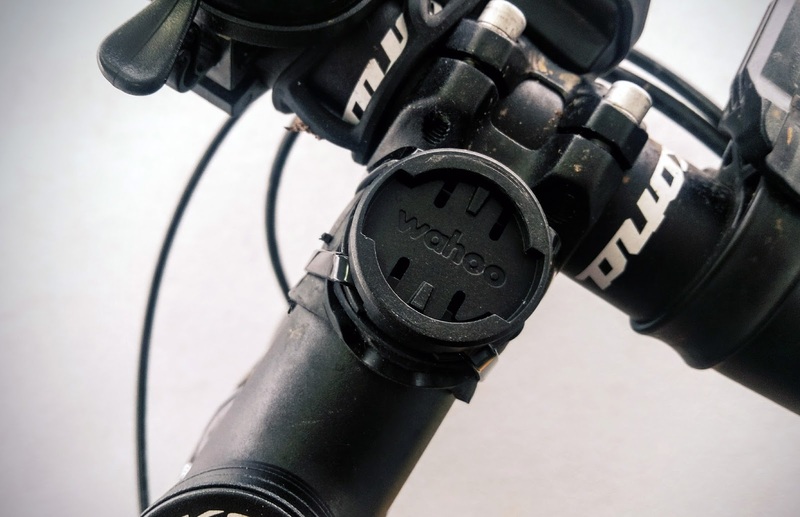 The ELEMNT will sync with both Bluetooth Smart sensors and ANT+ sensors; this dual-band connectivity means that you can link the unit up with pretty much any speed/cadence/power/HR sensor on the market today. 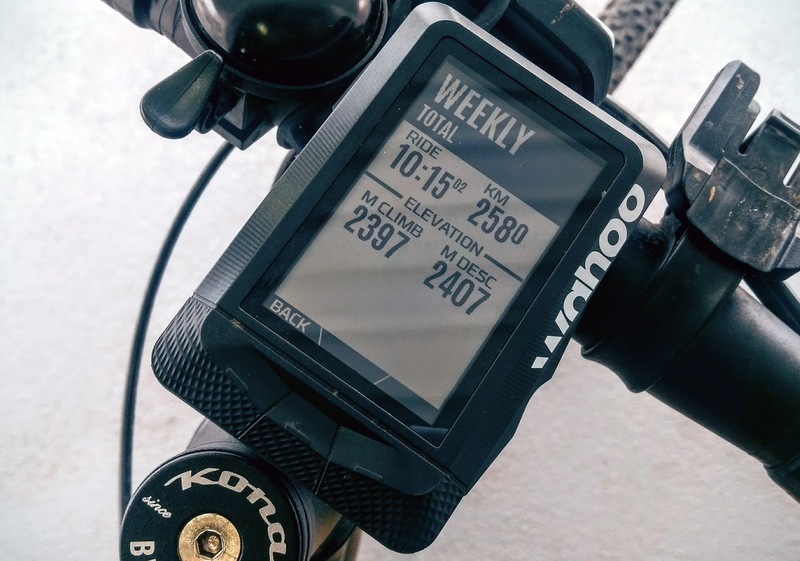 The custom dashboards, and the post-ride summaries will then let you see as much or as little of your data metrics as you want; which is ideal, depending on whether you're in a 'data junkie' mood, or you just want to ride. 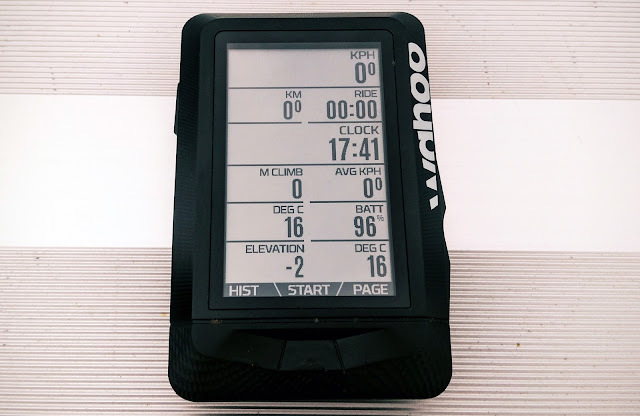 My last note, is on the battery life of the Wahoo ELEMNT; because it really is the only slight downside I've seen of the computer so far. The quoted battery life is 17 hours, and I think the unit will easily do that; BUT, only if it is not connected to your phone via Bluetooth, or to any sensors. If you add in multiple external linked units, the battery life of the ELEMNT does fall to more like 10 hours. This characteristic isn't unusual for a cycle GPS computer to be honest, and you'll find a similar drain if you link multiple sensors to a Garmin; it's just a bit of a shame, as if I use this for my 'Coasts and Cols Tour', then I'll have to be careful to cut back on linked-in devices, to preserve the battery for several days' riding. 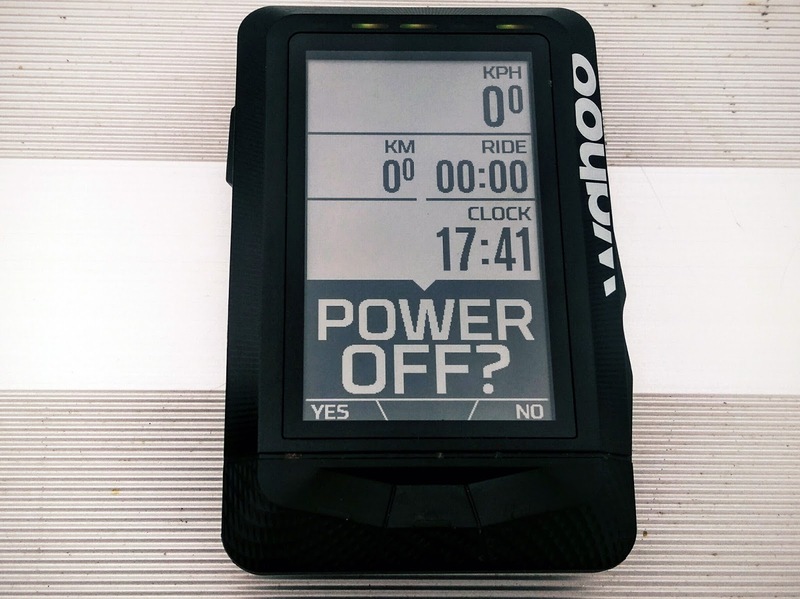 Overall, I'm a fan of the new Wahoo ELEMNT. The set-up is the easiest that I've encountered on a cycle computer. The display is innovative and easy to read - with its indicator LEDs and customisable back-light. The metrics will be enough to satisfy even the worst data-junkie. The mapping will stop you ever going too far off-track. 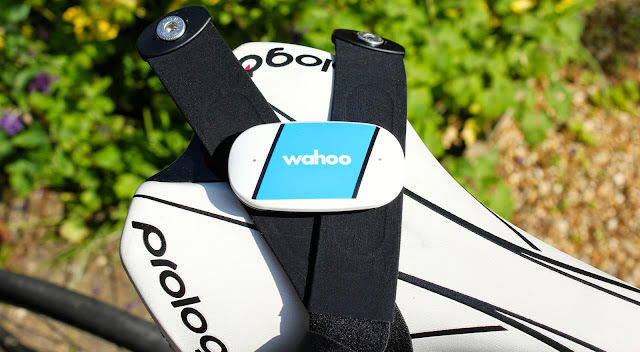 Then, the connectivity will mean you can share, analyse and track your rides, to your heart's content. Is the ELEMNT a worthy Garmin rival? I think it is; because of its ease of use, and its great software - something that will only further improve, as Wahoo brings out new software updates. I'm looking forward to testing this more over the coming months, and it is currently my go-to data recorder.